Perspective is a funny thing. Sometimes applying it to life is depressing beyond measure (crap we’re all going to die), but often perspective lends itself to positive observations. Case in point: the college experience. I get it, you’re busy refining your sleeping-in-class technique, running a controlled experiment of how many days you can survive on chips and Coke alone, and finding new rules to break in your dorm. But during the craziness of college life, something truly remarkable is happening. Taking a macro perspective, the academic and social atmosphere you live in is having a positive impact on how you think, and it builds skills that are seriously useful. Awareness of this process allows you to leverage its effects in everyday life. Imagine a fat ugly caterpillar that has metamorphosed into a fantastic butterfly. However, if said creature were unaware of its new and very functional wings, would it ever take to the sky and soar like a bird? No. Similarly, knowing about your new skills and using them effectively in life after college will set you apart from your counterparts. Clearly over the span of four breakneck years you learn a lot, but here are a couple things that are either overlooked or have more of an impact than generally assumed. Being surrounded by people in the dorms, working on group projects, and partying hard forces you to build social savvy. This happens almost unconsciously, where the real-time feedback of interacting with different kinds of people makes it clear what works and what doesn’t. This is a classic example of how effective trial and error is. How do you start a conversation with that cute girl or guy at a party? How do you resolve a conflict with your roommate? Your first attempt to the former may be a sheepish grin and to the latter a fist in the face. But actually doing it a couple times refines your approach to social interaction. Let’s be real, saying that knowing how to deal with people is useful is a massive understatement – life after college involves plenty of leadership positions, sales pitches, and networking sessions. It’s not easy juggling everything at once. You already know the long list of time suckers (or will know soon enough if you’re a freshy) so I won’t bother you with them. But with so much going on, just like with social skills you build an understanding of what works for you and what doesn’t, but also how to get the most out of your time. You may start using tools for scheduling you time, keeping track of deadlines and tasks, and focusing yourself. Perhaps even more important is the habit of finding useful resources and actually using them. There are parallels to office hours, scholarships, and secret parking spots in real life. Maximizing the limited time you have is a fundamental difference between your pre-college and post-college self. Knowing about a subject isn’t a goal that you reach at some definite moment. It is the ability to take the information available and build on it. Here’s an example. Especially at large research institutions, it is very clear that professors are not the world’s experts because they know everything about their field. Rather, it is because they are at the forefront in the study of their field. This is an important distinction and marks the transition from just absorbing information to actually creating new ideas and driving innovation. In the real world, just knowing about a subject and accepting the status quo means you are the dumb butterfly that has no idea it has wings. 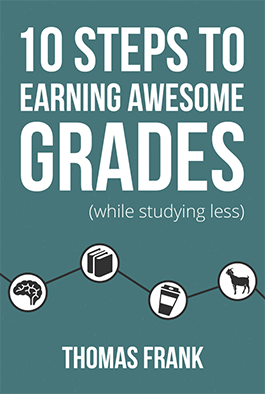 Those are just a couple things to keep in mind as you advance through your college career. Any reflections or insights about your college experience? Comment below, or on Facebook and Twitter! Come on, it would probably be your least creative way to kill time yet.